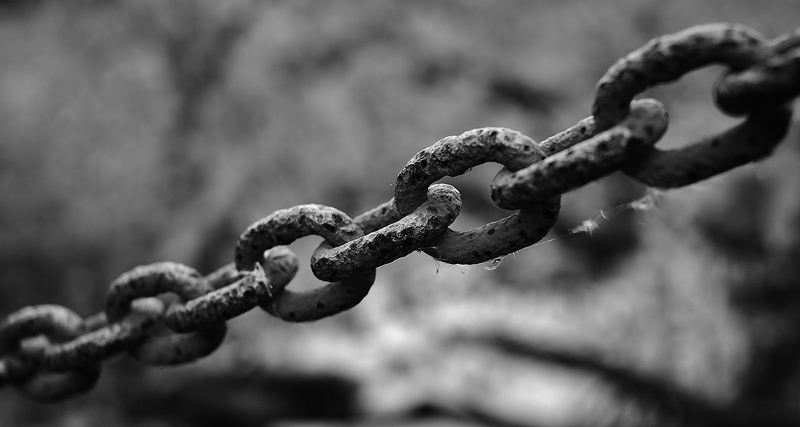 Many systems labor along a linear path and therefore lend themselves to a troubleshooting strategy I call: “follow the chain.” These “chained systems” are everywhere—most machines have at least one component that falls in this category. That’s because the essence of work, digital or analog, is transformative: you take an input, move it around, make additions or subtractions, and ultimately change it in a useful way. Because so many machines follow this A → B → C model, it’s only natural that there is a corresponding troubleshooting strategy that mirrors this form. 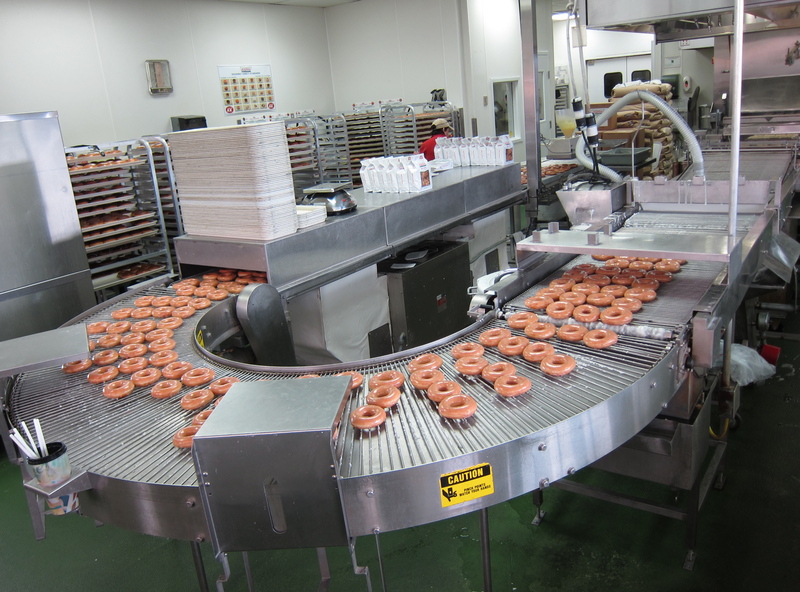 1) The Krispy Kreme doughnut production line: fryer → sugar glazer → cooling tunnel → my stomach. 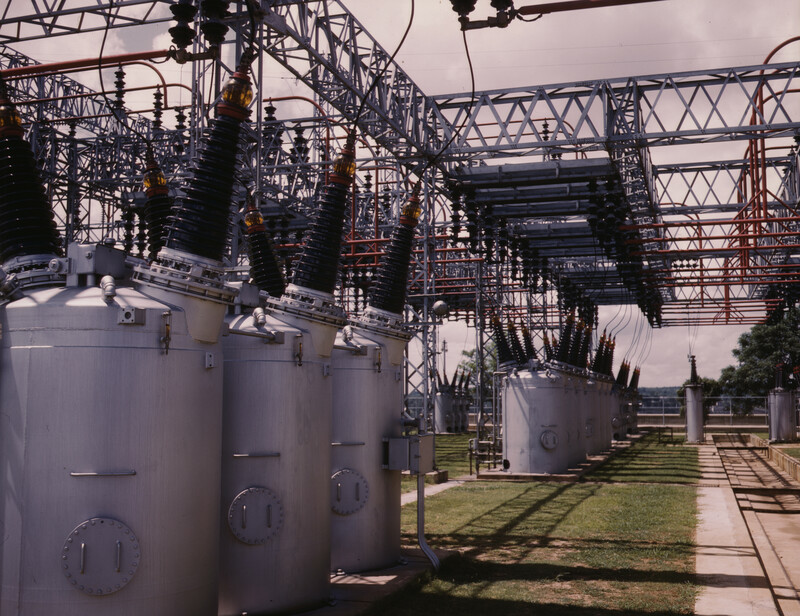 2) A pathway in the electrical grid: generating plant → substation → your home. 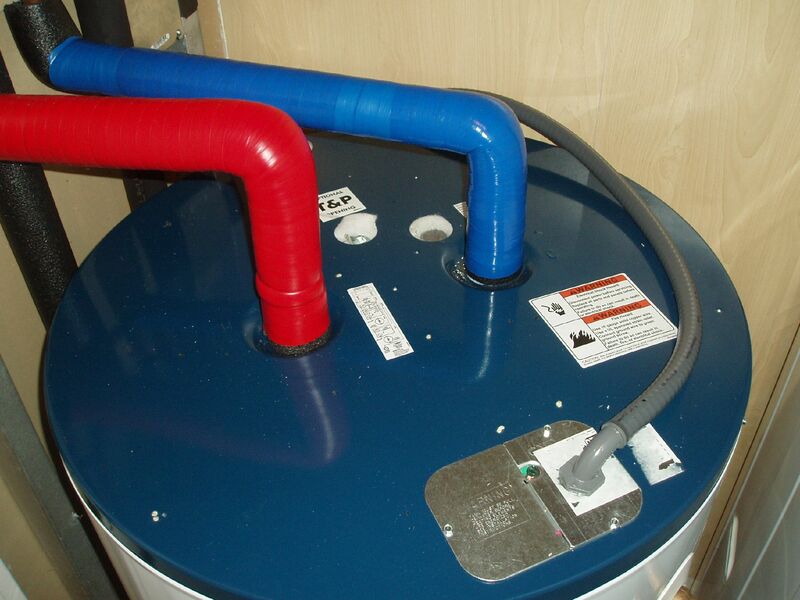 3) The pipes and water heater that deliver hot water in your home: cold water supply → water heater → kitchen faucet. Within transformational chains like these, the typical problem scenario is that either a station (place where work is done) or a conduit (pathway that moves material) will fail. Station failures may result in a “dumb passthrough” situation where material is still transmitted, albeit unchanged. For instance, if a water heater is malfunctioning, water may still get to the faucet, but it will be cold. Or, think about a network firewall that fails and stops filtering data, instead passing all Internet traffic along to your computer. A final tragic example: if that mesmerizing sugar glazer at your local Krispy Kreme runs out of glaze, the doughnuts will get to the end of the production line, though not with their addictive magic coating. Noooooooo! The output at the end of the chain will be flawed. There will be no output. Isolate and test each component of the chain. Measure the flow through the system by installing probes. Most audio/video setups are chain-like systems and provide a great illustration of how to test both stations and conduits. The main parts usually include source components (DVD players, cable TV decoders, video game systems, etc.) and intermediate devices (switchers/selectors, pre-amplifiers, amplifiers, etc. ), whose signal eventually winds up at an output device (TV, speakers, etc.). In our model, these are the stations in the chain, because they transform the audio or video signal in some way. On the way to your eyes and ears, the way these signals move is via wires (speaker wire, RCA/coaxial/HDMI cables, etc.) or radio waves. These are the conduits in our model. Let’s look at the “follow the chain” strategy in action. 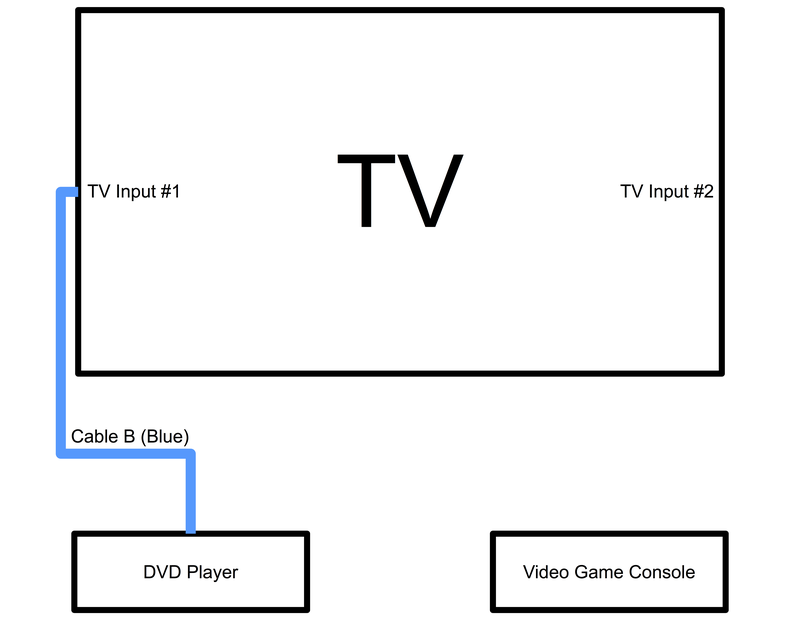 In this example, we’ll examine a typical home video setup with 2 source components. But first, let’s set the scene for our crisis: we’re unable to watch our favorite movie Point Break, starring the incomparable Keanu Reeves. Using the principles of measurement and isolation, we’ll take advantage of standardized connectors and cables to find the weak link somewhere in this chain: Point Break Pure Adrenaline Edition DVD → DVD Player → TV. Starting out, you can see there are a lot of question marks in our list. Besides the disc, we haven’t tested anything yet, so every part is suspect. By the way, this is a good way to begin troubleshooting any chained system: by not assuming anything! Now that we understand the setup, we start at the end of the chain (the TV in this case). We power up the TV and the DVD player, select TV Input #1, insert the Point Break Adrenaline Edition DVD, press play, and…nothing. Having already eliminated the DVD disc as a suspect, the remaining candidates for the problem are: the TV display, TV Input #1, Cable A, or the DVD player. The problem must lie somewhere along this path! As I just mentioned, because the connectors, cables and TV inputs are interoperable, we can use the video game console and Cable B to test various theories about the source of the failure. Diagram: testing the DVD player using Cable A and TV Input #2. When we hook up the DVD player using Cable A and Input #2, it still doesn’t work. You may think this is a setback, but this is good information. Remember from our earlier test that the TV display and Input #2 are known to work. That means we have isolated the problem to either the DVD player or Cable A: the problem must be in one of these two components. Another consequence of this test is to de-prioritize the testing of Input #1. Since we haven’t tested it, we can’t say for sure that it works and so it must remain a “?” on our list. However, remember the statistics involving multiple failure scenarios. We know for sure there is a problem somewhere within the combination of the DVD player and Cable A. It’s possible, but highly unlikely that Input #1 is also failing at the same time. 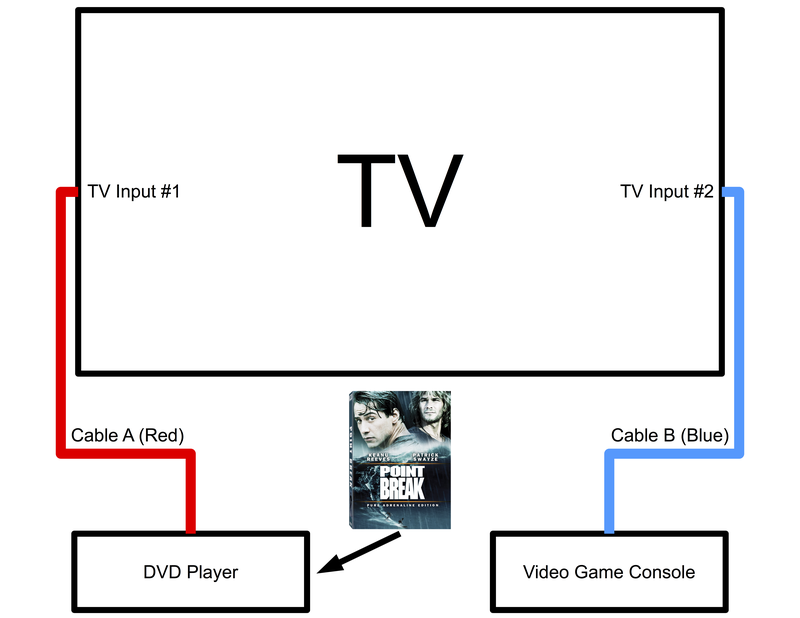 Diagram: testing the DVD player using Cable B and TV Input #2. Keanu flickers to life! Because this configuration works, we can update our table and mark one more component as “working”: the DVD player. 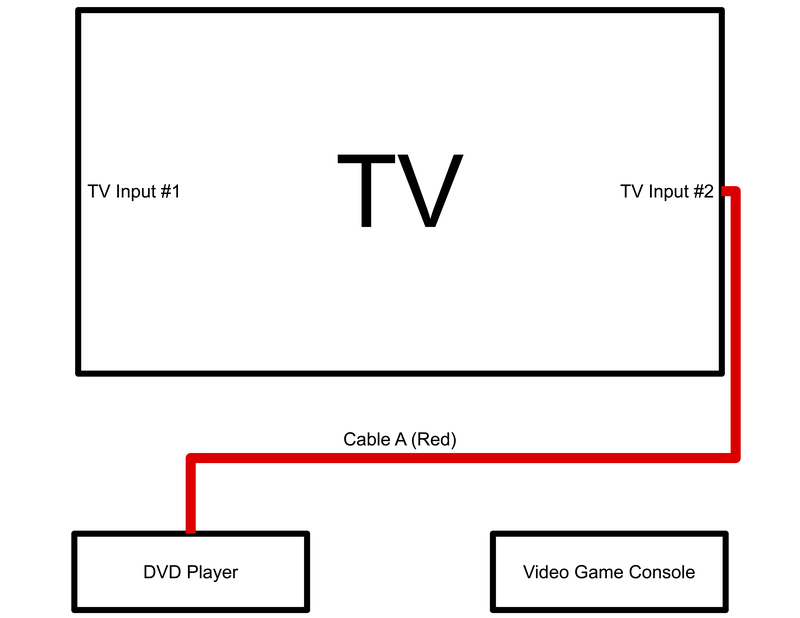 Diagram: testing Input #1 using the DVD player and Cable B.
We’ve done it, there’s no longer a mystery as to what’s preventing us from having an awesome Saturday night with our favorite movie. All the components in our system have been verified to work, with the exception of one. The culprit must be: Cable A. The heater malfunctions, and the cold water is simply passed through unchanged (a “dumb passthrough” scenario). A pipe bursts or leaks, preventing water from getting to an endpoint like a shower or kitchen sink (the “no output” situation). 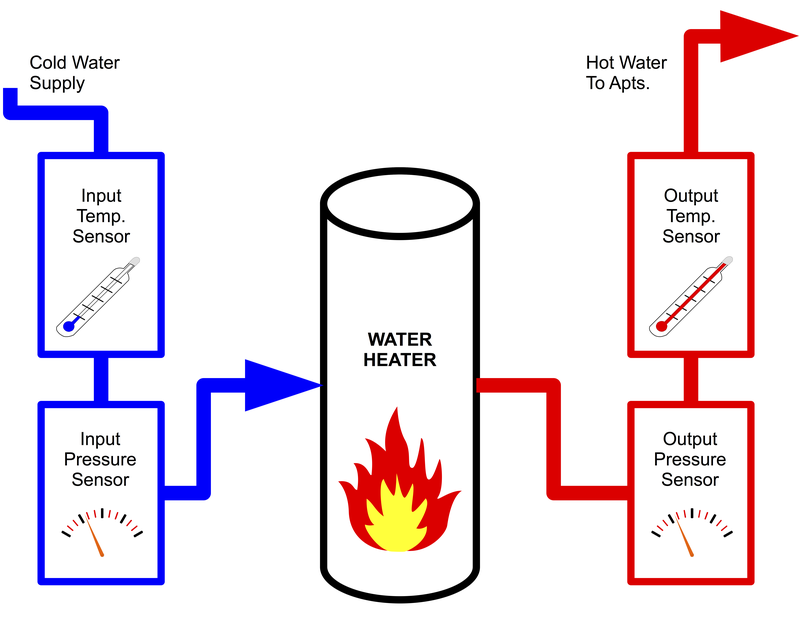 Diagram: water heater system with temperature and pressure sensors. 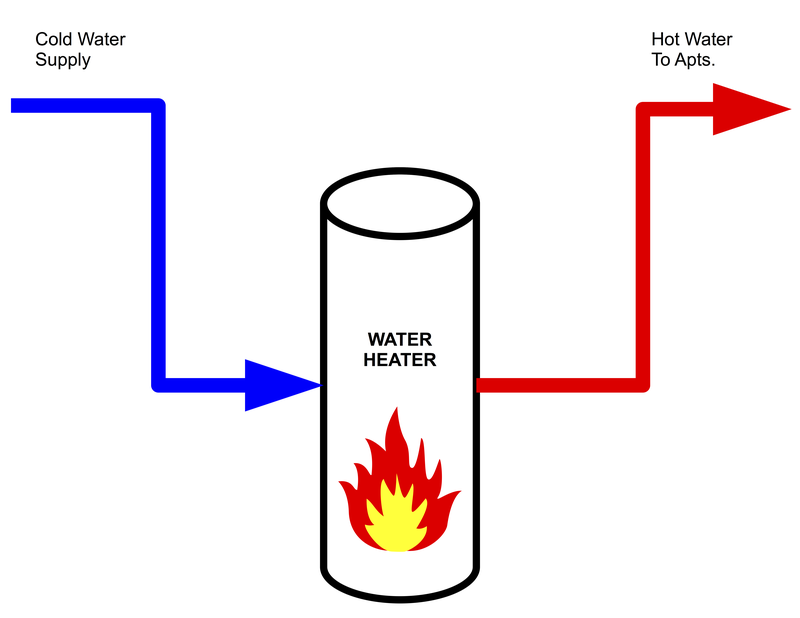 The water heater is just passing the water through without doing anything: the input temperature equals the output temperature. Is the heater turned on? What’s the thermostat set at? There’s no water pressure and the temperature is equal to room temperature. Has the water supply been shut off? Did you forget to pay your water bill? The loss of pressure means there’s a broken pipe or the tank is leaking. There may be flooding! Our gauges allow us pinpoint a leak somewhere between Pressure Sensor #1 and Pressure Sensor #2. That narrows things down considerably. Normal operation. The input pressure is equal to the output pressure. The water temperature goes from cold (60° F) on the input to hot (120° F) on the output. This is what a water heater is supposed to do! Do you see how adding these 4 gauges has given us a much better understanding of how this system is functioning? They can show us exactly where and what to look for when investigating a problem. Four critical parts of our water flow chain are now being monitored and we’ll reap the benefits when we need to troubleshoot. Sensors and gauges are great, but there are many cases where the process chain can be visually inspected (remember the lessons of “Listen Up”: the importance of being engaged with the world around you and tuned in to your senses). Back to the Krispy Kreme production line: you wouldn’t need a “glazing sensor” to tell you that the donuts aren’t being glazed. You can see and taste it.